The Battle of Velasco, fought June 25–26, 1832, was the first true military conflict between Mexico and settlers in Texas. 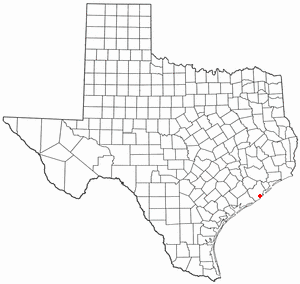 It began when Texan insurgents attacked Fort Velasco, located in what was then Velasco and what is now the present day city of Surfside Beach. The Mexican commander during the conflict, Domingo de Ugartechea, tried to stop the Texians, under John Austin, from transporting a cannon up the Brazos River to attack the city of Anahuac. The Texian militia eventually prevailed over the Mexicans when Ugartechea surrendered after a two-day battle, once he realized he would not be receiving reinforcements, and his soldiers had run out of ammunition. Texians (also known as Texasians, Texilingans, Texicans, and Texonian) were non-Hispanic white residents of Mexican Texas and, later, the Republic of Texas, i.e., settlers who were not part of the older Tejano population. While the term “Texian” continued to be used for a brief period of time to refer to residents of this region after its annexation by the United States of America in 1845, residents of the US state of Texas soon became known as Texans instead. Many different immigrant groups came to Texas over the centuries. There was Spanish immigration in the 17th century, French and English in the 18th century, and massive German, Dutch, Swedish, Irish, Scottish, Scots-Irish, and Welsh immigration in the years leading up to Texas independence in the 19th. Thus, the word Texian is not specific to white immigrants or English-speaking immigrants that settled the land. So, before Texas became a sovereign nation in 1836, Texian referred to any resident, of any color or language. In 1834–36, the Texian Army was organized for the Texas Revolution of independence from Mexico. The Texian Army was a diverse group of people from many different nations and states. The Texian Army was made up of native-born Tejano volunteers, volunteers from the Southern United States; and people from England, Germany, the Netherlands, Sweden, Ireland, Scotland, Wales, Portugal, and what is now the Czech Republic.